"Kale could be offered year-round in the future"
Kale is harvested in the cold season in large volumes, especially in northern Germany. But kale also thrives particularly well in the more southern states. The Ullrich nursery, headquartered in Hessian Ihringshausen, has been successfully building up the winter culture for several years and is now attracting attention throughout the state after a television program on Hessischer Rundfunk. Grower Stefan Ullrich also sees development potential for the product outside the winter months. Despite the difficult weather situation at the beginning of the harvest, there was no reason for the Hessian producer to complain. "So far, we've had better kale yields than we expected at the beginning of the season. The kale and Brussels sprouts volumes are also satisfactory compared to the other cabbages; white cabbage, red cabbage and cauliflower." 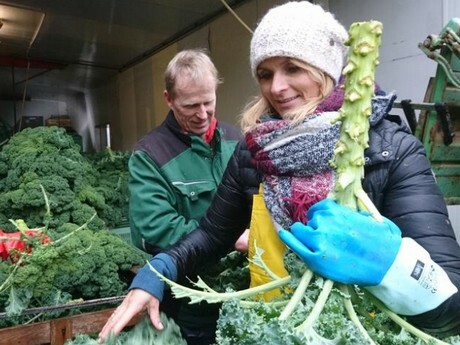 Kale producer prices are currently hovering around €0.70 per kilo: prices will change only marginally during the season , To further use the kale, the individual heads are also offered in cut form. 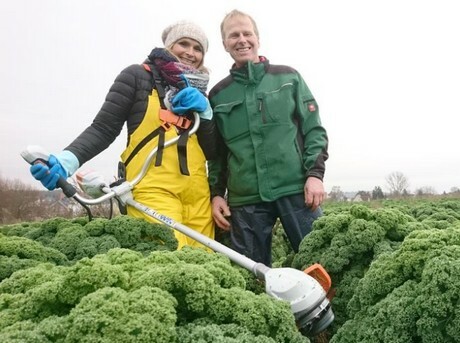 "We market cut kale leaves at €2.20 per kg, because of the manual labor and the effort we put in, explains Ullrich, who grows around 15 hectares of outdoor vegetables. The Hessian curly kale is negotiated either in direct sales at regional weekly markets or via a friendly major supplier. "A substantial part of the kale harvest thus ends up at regional supermarket chains." As kale is hardly eaten at all in southern Germany, there are hardly any producers to the south of us." Furthermore, as a producer, one must also make an effort to present the product more as a culinary specialty. Therefore, the dedicated producer also works together with chefs to offer recipe suggestions. "I try not to present the kale as a pure winter culture, but to also put it out in the summer. In the US, these vegetables are already being offered successfully and year-round as a superfood, and the market is already moving in that direction." Kale will still be harvested for another eight weeks, after which, according to today's expectations, it is over for the Hessian winter vegetables. Although ... "I'm trying to replant the culture right after the last harvest, so we'll have fresh kale again in the spring or around May-June. We are curious if this will work," concludes Ullrich.